Opened an L.A. restaurant called Paio. Current Info Regin King is current working on a new tv series. The show is called "The Unit". The hour long show which looks at the life of Delta Force agents. Personal Note I had the pleasure of meeting Regina King in NYC 2003 at the AAWIC film festival. She is petite and very beautiful in person. She was very nice and it was cool to meet Brenda (LOL). 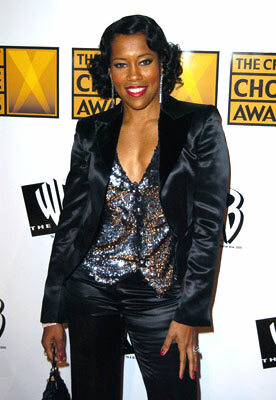 Regina King distinguished herself as a skilled actress in the 1990s with a number of supporting roles in prominent films. Born and raised in Los Angeles, King first made her mark as a TV actress when she was cast in the sitcom 227 in 1985. During her five seasons on TV, King also played small parts in the Bill Murray comedy Scrooged (1988) and Charles Burnett's domestic drama To Sleep With Anger (1990). After 227 ended in 1990, King moved to films full time with a role in John Singleton's acclaimed directorial debut Boyz N the Hood (1991). King worked with Singleton again in Poetic Justice (1993) and Higher Learning (1995). Showing her ability with film comedy as well as drama, King appeared in F. Gary Gray's cult hit comedy Friday (1995), and co-starred opposite Martin Lawrence in A Thin Line Between Love and Hate (1996).